This is a unisex Parfum and is completely gorgeous. How do you describe a smell? It's spicy. Not flowery. Dark purple. And it lasts. A little goes a long way. Lots of compliments from young and old.I prefer non-spray bottles, but this doesn't seem to be available as a non-spray. If you can afford it - treat yourself. 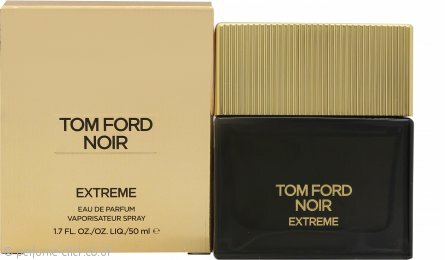 Tom Ford Noir Extreme Eau de Parfum 50ml SprayLush fragrance that lasts! Was a present for a mate he absolutely loved it....Happy with the price aswell...? I m really enjoying the perfume as this is the first time I purchased this brand and it has a great smell. This is now my favourite brand and perfume. Excellent service, fast delivery, well packaged, love the product will use this company again. This is expensive (to me) but worth every penny. It has a rich dark spicy note and it lasts. Best I've ever used. So many of today's fragrances fizzle out after an hour. You don't need to use much, so it could work out cheaper than the those other weak colognes. Just wish - for all fragrances - that bottles were available as well as sprays. Tom Ford Noir Extreme Eau de Parfum 100ml SprayMy favourite perfume these days. I dont usually get expensive perfumes but when I smelled this I said I got to get this one.